‘…loss is different for everybody, maybe you didn’t lose your mom, maybe it’s a child, or maybe it’s a job, maybe it’s just a place that you’re in that’s been very, very difficult for you. I think, through the song, I wanted it to show you that God can use everything that you have gone through. That’s the strength, is how he uses your story to then help other people, or He shows you this newfound strength you didn’t even know that you had…’ Taken as an excerpt from her behind the song video from her Youtube page, Blanca has delivered both vocally and emotionally on ‘Shattered’, a song that was recently inspired by her own mothers death due to cancer when she passed at the end of 2016. Her viral hit ‘Real Love’ was also inspired by her mothers passing and how she decided to have a love that is real rather than just ticking all the boxes that often people with a lot of religiousity can sometimes undertake. Nevertheless, ‘Shattered’ is vulnerable, real, hopeful, honest, raw, at times messy and offering a ‘cliché’ answer in that Jesus can mend your shattered heart (but regardless of it’s cliché nature, it’s true! ), but still, ‘Shattered’ is a song written from the deepest places of this Puerto-Rican singer-songwriter. 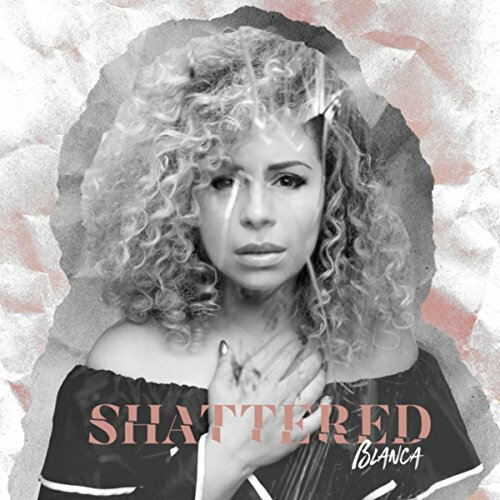 While it has never really been the same since her departure from Group 1 Crew, Blanca has nevertheless forged a name for herself in a solo manner, and ‘Shattered’ is certainly going to place her on the map if her previous songs haven’t already! I’m not really going to talk much about the song at all- just let the words speak and let Blanca speak in this behind the scenes video below. And so this will be a short post/review, one that will ultimately be left up unto Blanca in her video, and you the listener as you hear what I reckon is one of the most emotional songs I’ve heard…maybe even ever. Then again, songs like ‘Through All of It’ and ‘I Can Only Imagine’ are just as emotional. Still, this is Blanca’s story, and ‘Shattered’, both the song and the story behind, tell it quite well. And we all know that this new song is also the title track off the new album slated to release later on during the year- so if this new upcoming album is anything like both her Real Love EP as well as ‘Shattered’, then this collection of new songs from Blanca can be her most vulnerable yet. Well done Blanca for such a bold and courageous track, can’t wait for the new songs to come later on during the year!